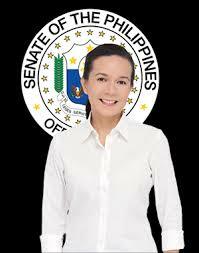 POLITICAL TIDBITS: More than her mysterious parentage or if she has minimum constitutional requirement of ten years residency in PH, I’m apprehensive about Grace Poe's lack of governing experience. How much time would President Poe need to firmly grasp the handle of governance, given gargantuan problems and damaged institutions she’d inherit from P-Noy? Or would she rely on Chiz Escudero in first three or four years? But aren’t we putting the cart before the horse, given all talk about economic cha-cha in House that could open floodgates to political amendments and a No-El scenario? Can we rely on congressmen’s pledge on economic cha-cha only? Would anyone bet on this? More than her mysterious parentage or if she has minimum constitutional requirement of ten years residency in PH, I’m apprehensive about Grace Poe's lack of governing experience. How much time would President Poe need to firmly grasp the handle of governance, given gargantuan problems and damaged institutions she’d inherit from P-Noy? Or would she rely on Chiz Escudero in first three or four years? But aren’t we putting the cart before the horse, given all talk about economic cha-cha in House that could open floodgates to political amendments and a No-El scenario? Can we rely on congressmen’s pledge on economic cha-cha only? Would anyone bet on this? A major TV network played up very lengthily last night the issue being raised against Sen. Grace Poe by the opposition United Nationalist Alliance (UNA) on whether, assuming she runs for and is elected President in 2016, she would have fulfilled the constitutional requirement of having been “a resident of the Philippines for at least ten years immediately preceding such election.” UNA Acting President Toby Tiangco maintains that by 2016 Poe, going by her earlier certificate of candidacy for the Senate, would have lived here for only 9 years and six months---short of the ten-year requirement. The major network dug for about an hour into the hitherto mysterious and unknown circumstances of the lady senator’s birth, parentage and rearing, and this prime-time could already be read as the launch of Grace Poe’s candidacy---evoking tremendous sympathy for her as a child of unknown parentage. 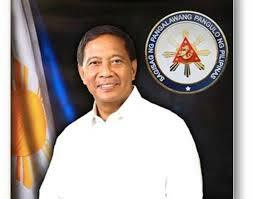 It will be an irresistible political Cinderella story for the masa and in this regard she’d probably give VP Jejomar Binay, the declared UNA presidential candidate, a run for his AMLC-induced frozen assets. Over the months, with treatment such as what that network gave her, it’s easy to see that Poe will gain strength with the voters---the most recent Laylo survey shows her just a few points shy of UNA declared candidate VP Jejomar Binay. It’s also easy to see that while she now avers that if she is to run she’d prefer to do so as an independent, with her mentor Sen. Chiz Escudero as her running mate, it’s also easy to foretell a pragmatic solution for the election-obsessed LP. Should presumptive LP presidential candidate Mar Roxas not pull up in surveys, the LP would readily come begging Poe to run under its banner with Mar Roxas as VP and Escudero promised the Senate Presidency. All these scenarios are part of the dizzying political race that has already begun. But to me, the issue against Poe is not so much her faulty math---her failing to calculate just how many years she already spent here since she returned from US sojourn and education. In this regard, it's understandable that UNA would capitalize on what may be an uncalculated and even innocent mistake, in view of Poe’s presentation of herself as the complete antithesis of the LP's portrayal of VP Binay as the epitome of corruption. To my mind, the bigger issue about Grace Poe is the fact she has so little experience in public service---only two years as head of MTRCB and two years as a junior senator who became prominent only when she chaired the committee that ventilated the Mamasapano issue (and even then, she has failed to submit the final report on those prolonged hearings, prompting critics to opine that she was protecting President Aquino and his cohorts in botched SAF operation. I firmly agree with the assertion of former Budget Secretary Benjamin Diokno in a recent Daily Tribune column that “the incoming President has to hit the ground running” given all the gargantuan problems and damaged institutions that P-Noy will leave as his legacy. The question is, how much learning time would a President Poe need to firmly grasp the handle of governance? Or would she rely in the first three or four years, pretty much as she has done in the past two years, on her mentor and friend, Chiz Escudero. As a pundit quipped, we might as well elect Chiz president, maganda pa ang First Lady. But wait, aren’t we putting the cart before the horse? Will there be elections in 2016 as the Palace has recently been reassuring when talk about a No-El began to circulate? Talk of No-EL was fueled lately by recent moves in the House to jumpstart “Resolution of Both Houses” (RBH1) that Speaker Feliciano Belmonte had filed in July 2013. RBH 1 calls for Congress to amend certain “economic provisions” in order to supposedly enervate the economic situation of the country by opening up to foreign investments certain areas of the economy. Suspicious minds like Chiz Escudero and Kabataan party-list Rep. Terry Ridon are quizzy about the timing of the “economic provisions.” Why now, when the Palace is exerting tremendous pressure on Congress to pass the BBL? Or is there a connection? Recall that Sen. Miriam Santiago’s committee has ruled that there are unconstitutional provisions in the draft BBL which would need revision if the BBL, even if passed by Congress, won’t be struck down by the Supreme Court. Most solons in both chambers agree with legal experts that there’s need to amend some provisions. In fact, some experts are struck that the drafters of the BBL have overlooked these infirmities. Unless of course, the BBL is merely the excuse for revision of the Constitution by the members of Congress sitting as a constituent assembly, or for Congress to pass piecemeal legislation that achieves the same thing. All that is needed for the 290-member House to pass an amendment via legislation is the vote three fourths of its members, after which it's then passed on to the Senate. Now, where does the talk about No-El come in? If the Palace really wants to extend the term of P-Noy and Congress by three more years (e.g., to repair all the wrinkles in his administration so that he does not get incarcerated like his predecessor) all it needs is to get 217 votes in the House and a corresponding equivalent vote in the Senate. Rep. Ridon, a former UP Board of Regents member representing the students, suspects as much, when he was quoted in Tribune as opining last Monday that “the renewed Cha-cha push may be fueled by Aquino’s desire to escape rosecution after his term ends. Recall that at one point in the recent past, P-Noy played coy to the idea of a term extension, adding that he'd very much like to continue his "tuwid na daan" reforms. Of course the administration and Congress would really be risking a revolution, as the Filipino people probably won’t take that brazen attempt sitting down. But then again, haven’t the people become quite apathetic? Recall the lack of collective action after the fierce collective anger over Mamasapano. What about the members of Congress? Would they take this sitting down too? Given the way the President has had his way with the House and, with a little more noise, in the Senate in various issues pundits thought were impossible to pass, can we doubt their acquiescence? What member of Congress would refuse a term extension where he does not have to fork out huge amounts to win (and where he or she would instead be the beneficiary of a windfall)? What we need in Congress are genuine patriots.